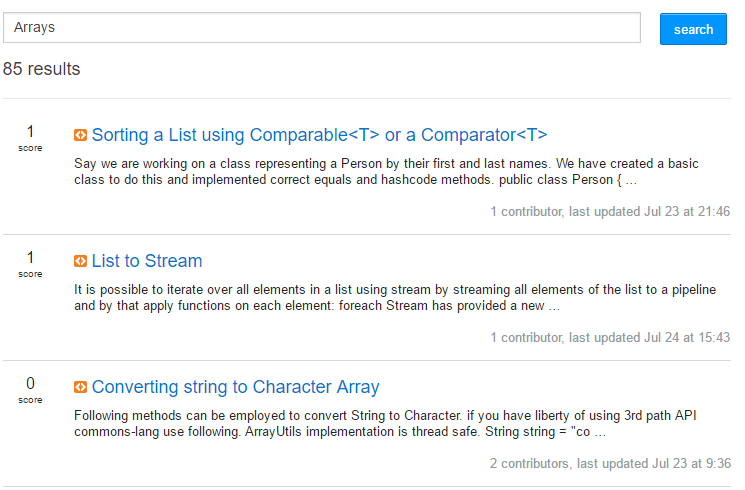 In any documentation topic, you can search through it (for topics and examples, it looks like). As you can see, there doesn't appear to be a next button (or any pagination buttons I have come to expect on SO pages, so I can't get to the additional results. 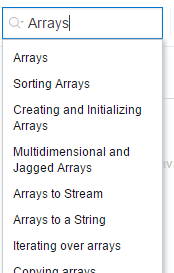 Searching for Arrays again, I see that "Arrays" is the top result, but I can't arrow down to it with my keyboard. This is a very common aspect of searches, and I keep searching for something, only to hit enter, not having selected a search result. Of course, I can select it with my mouse, but that's an extra (and unnecessary) step. 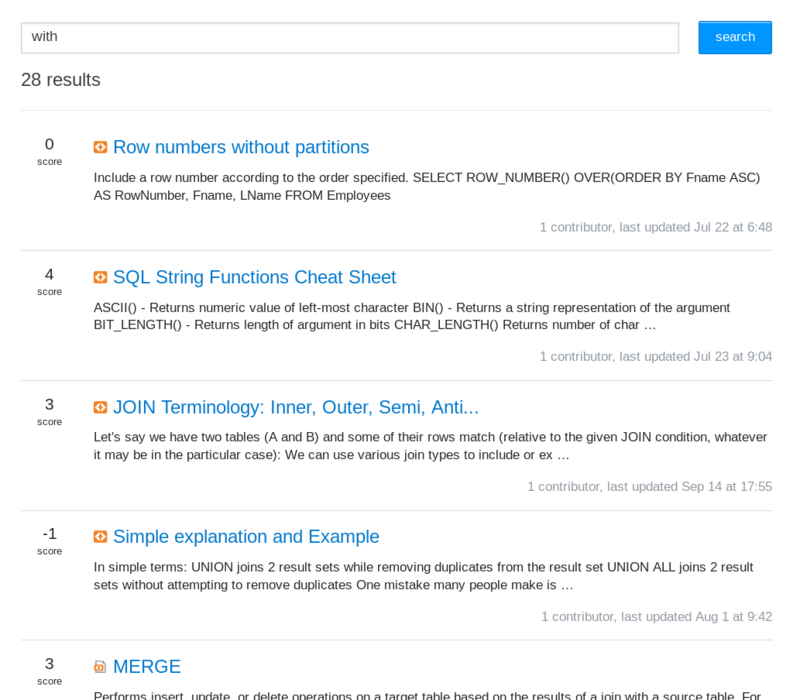 Browse other questions tagged feature-request bug documentation search . How is Documentation meant to be searched/found?